Software you can install on any cloud or private data center. Includes all Redis Enterprise’s advance capabilities. Downloadable software, in containers, on Pivotal CF, OpenShift or as AWS AMI. Price per shard. 30 DAY FREE TRIAL! Follow simple steps to download and install Redis Enterprise in the environment of your choice. Configure your shared server cluster environment. You can create and configure multiple Redis databases on the same node cluster.Each database instance uses a single processing core, maximizing the utilization of your hardware. Connect to your databases, scale them up or down by simply re-sharding. Rebalance your database instances if throughput or latency metrics call for it. Set up Active- Active or Active-Passive replicas, add additional nodes for greater capacity. 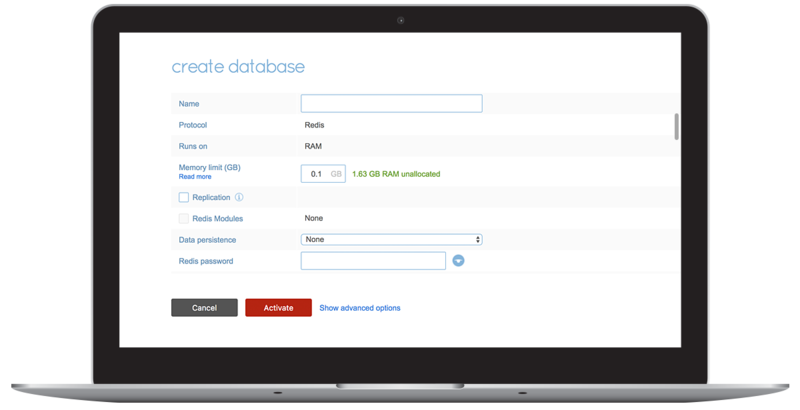 You can create and configure multiple Redis databases on the same node cluster. 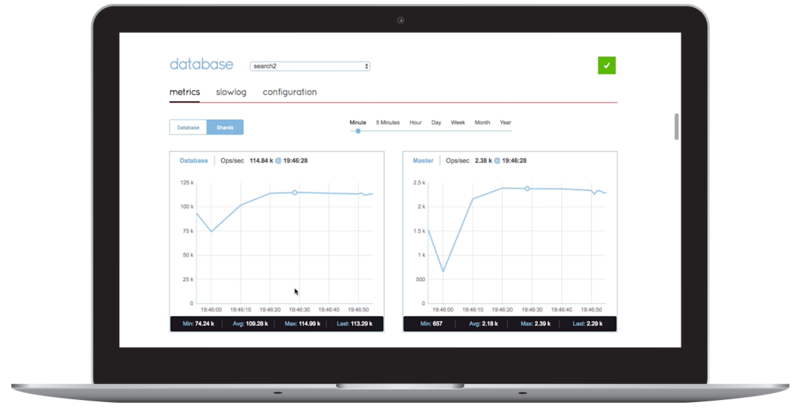 Each database instance uses a single processing core, maximizing the utilization of your hardware. Rapid fire simultaneous indexing and search provides 5x speedier results than standard search technologies. Text, numeric and geospatial searches with filtering, stemming and autocomplete power secondary indexing from any other DBMS. For datasets larger than 100GB, running Redis on Flash delivers high throughput with the same sub-millisecond latencies of Redis on RAM, while cutting the cost of your cloud resources by over 80%. Achieve continuous in-memory replication and instant automatic failover across racks/zones/datacenters with the click of a button. Protect your Redis datasets with UI, CLI or API-enabled replication, persistence, backups and disaster recovery. Efficiently replicate Redis databases across Redis Enterprise deployments in different regions or between on-premises and cloud deployments, with built-in compression, diskless replication and WAN optimization technologies. Create multi-region, multi-cloud or hybrid (on-premises and cloud) Redis Enterprise deployments that accelerate your applications and require zero time to DR.
Gain top-notch performance even in intensive disk-access scenarios with Redis Enterprise enhancements such as maximizing command pipelining, maintaining optimal persistent connections to every shard of your databases, and utilizing multiple CPU cores. Real-time shard migration isolates high-load databases from other databases running on the same node. Automate day to day maintenance tasks such as database scaling, data-persistence tuning, auto-failover, re-sharding, shards migration and rebalancing needs. 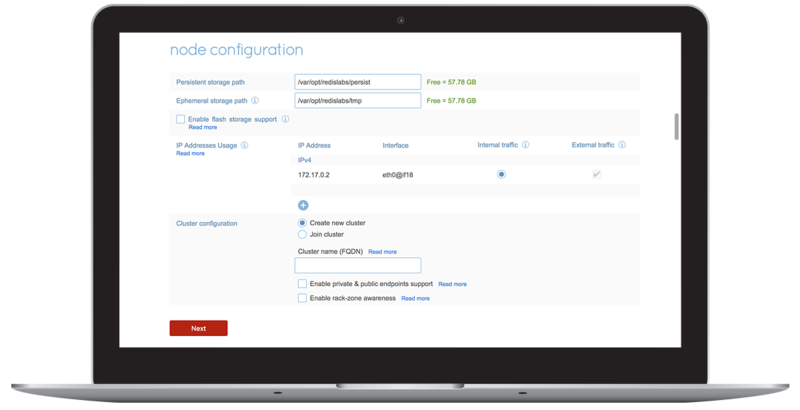 Simplify operations with Redis Enterprise software’s intuitive user interface (UI) to set up, configure and monitor the cluster and each database. Redis Enterprise provides configurable threshold-based alerts for over twenty important Redis metrics and integration with third-party monitoring tools such as Nagios.